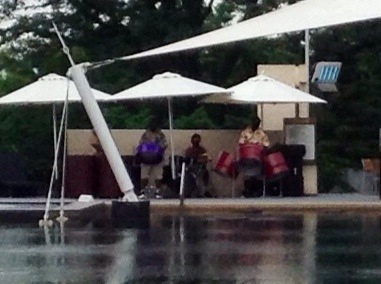 Something didn’t feel right about the all-black Caribbean steel band at the property. At first I thought I was hearing the music over loud speakers but looked up to see the live band sweating in their festive shirts. Poor guys. I wonder if most of the patrons have even been to the Caribbean? I was so relieved when they went on a lunch break. It was followed by Latin music but no players in sight. Overall, if you never plan to go to the Caribbean, I could see how this place would could do it for most Koreans. I heard a lot of Konglish around the pool with many of the patrons visiting from the US for the summer. A whole subset of KoAms coming to Korea and hanging out at BT. Who knew? ← Hello Banyan Tree Seoul!